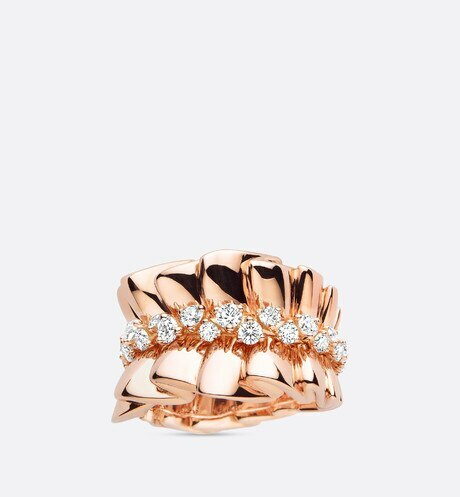 From gown-like necklaces to suit-like rings, Victoire de Catellane reinterprets some of Monsieur Dior's iconic looks in the medium of jewellery. 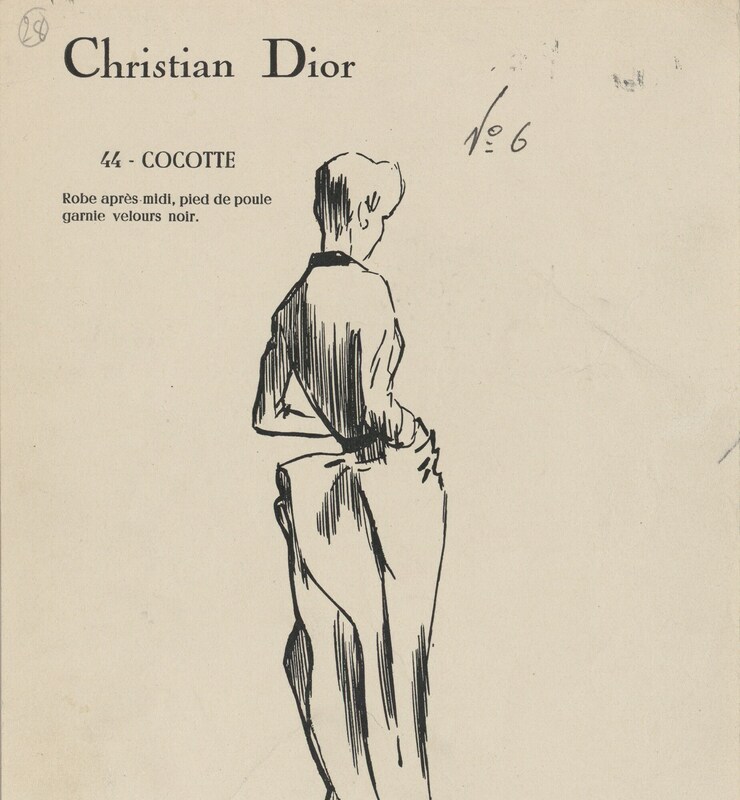 The Archi Dior collection pays homage to Christian Dior's passion for architecture: all his life, he tried to transpose its rules and principles to haute couture in order to create sculptural silhouettes whose volumes sometimes appear to defy gravity. As though embroidered with diamonds, the Libre Plumetis line describes the delicacy of the white tulle on the Belgique dress. With its twisted ribbons, the Diorama dress is the inspiration for a precious streamer that coils endlessly around the neck, ear or wrist. The swinging volume at the back of the Cocotte dress gives rise to asymmetrical pieces, while elements of the Ailée line are found in the pavé-set scrolls of a bracelet. The Milieu du Siècle pieces are a special tribute to the Junon dress, whose skirt is fashioned of layered petals of fabric. 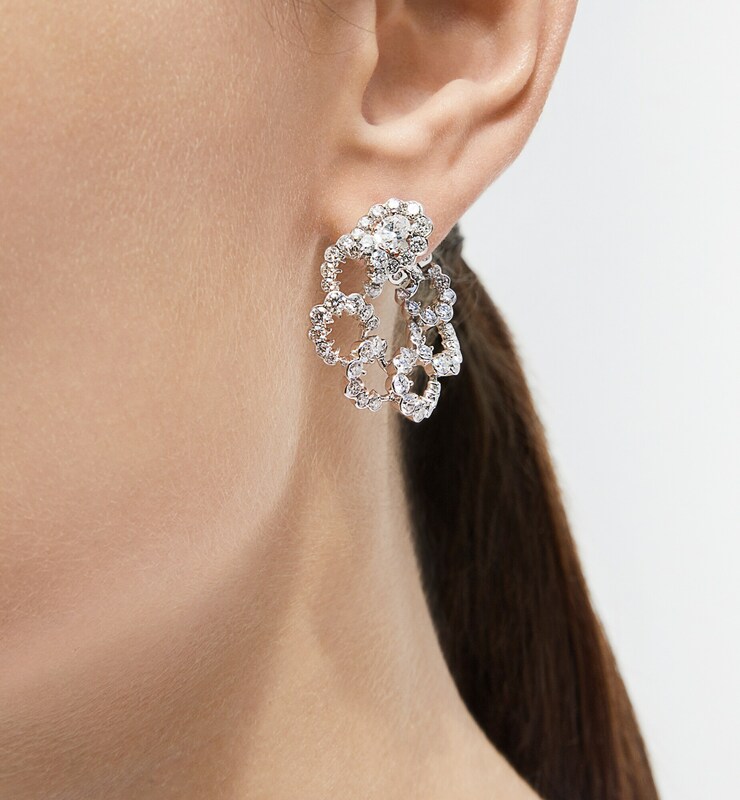 A bold interpretation of Dior couture, Archi Dior is inspired by 6 of the label's iconic dresses created by Christian Dior between 1947 and 1957. So the Bar en Corolle ring is a reference to the famous Bar outfit as well as the name of the first New Look line, Corolle. 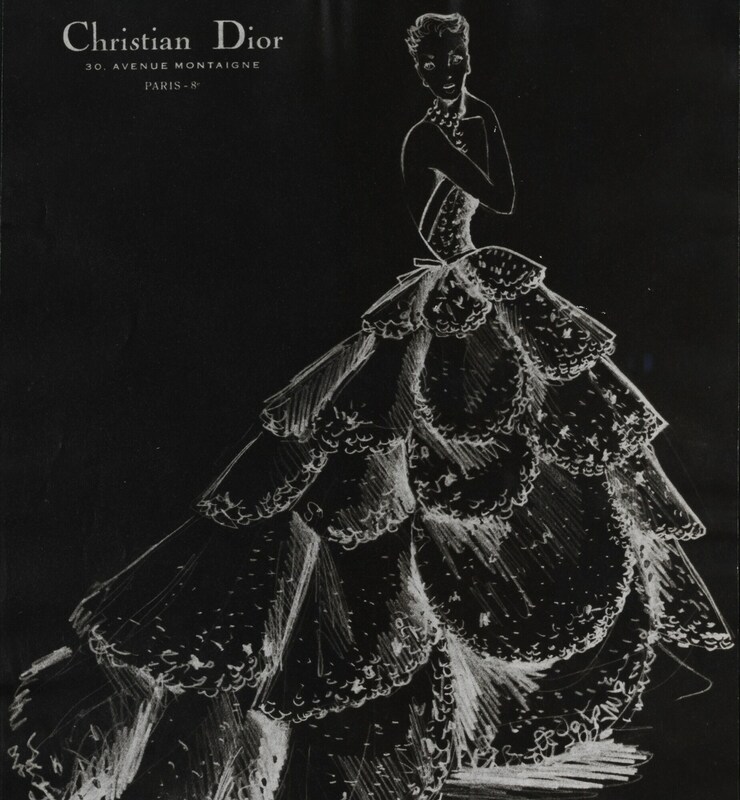 Producing the Archi Dior collection involves incredibly complex work, mastered only by the very best Parisian workshops. 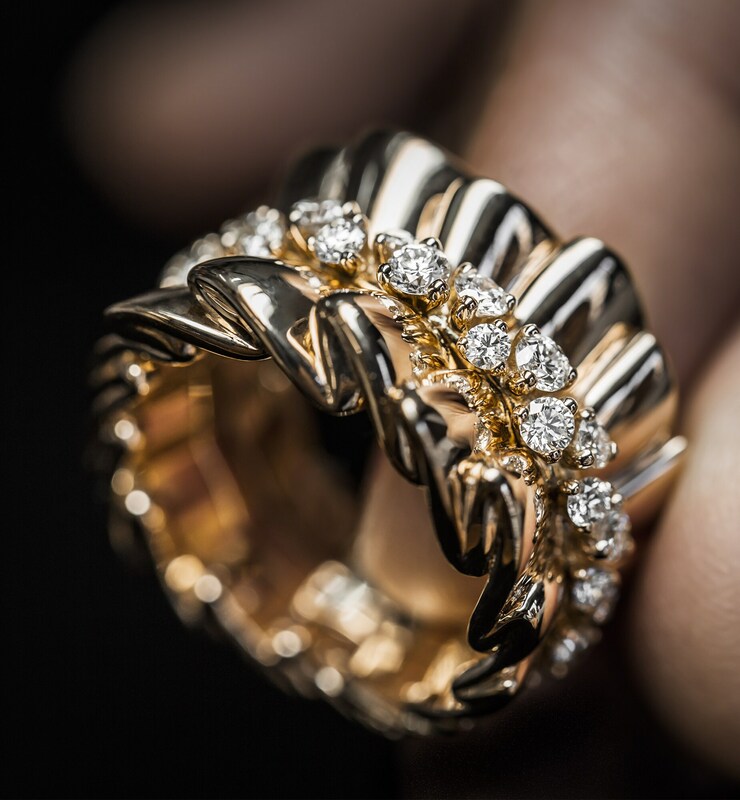 Made entirely by hand, it requires careful attention to detail and rare craftsmanship: the craftsman's main challenge is to create the volumes of each piece of jewellery in an architectural manner while at the same time highlighting the distinctive femininity of its curves. 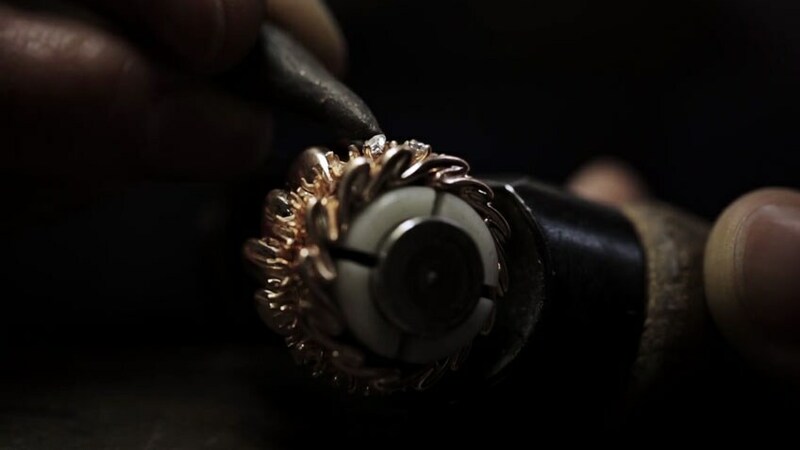 In their expert hands, the precious metal becomes a fabric: it describes the movement of a skirt, the pleat of a dress or the drape of a fabric, while precious stones become embroidery.